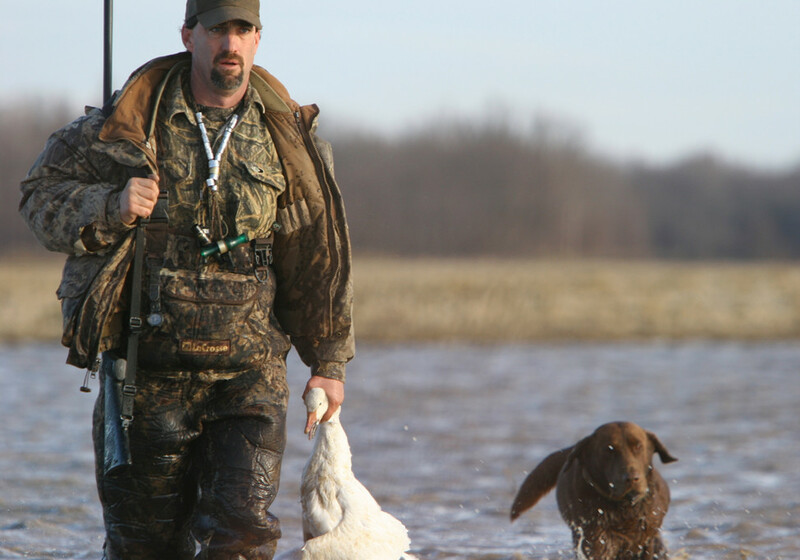 Buster Cooper is a lot of things — entrepreneur, veteran, fireman, family man and founder of Bust-A-Duck Guide Service in Gregory — but at his core, he’s a duck hunter. Once cash-strapped but eager to hunt, former fireman Buster Cooper has gone from sleeping in the back of his Dodge Ramcharger on boat ramps to being owner-operator of Bust-A-Duck guide service. 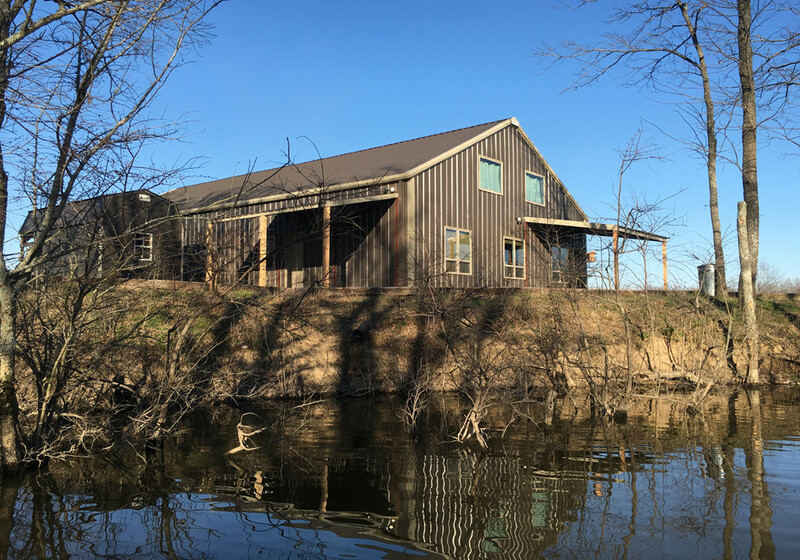 Bust-A-Duck opened a 3,600-SF lodge in 2012, and directs a crew of four guides that leads 12 to 14 hunters a day. “My father [Helm Cooper] got me started at an early age,” Cooper said. “We duck hunted Lake Conway when you could still actually duck hunt [there]. As I got older we hunted there locally around Conway, the bottoms and the river. 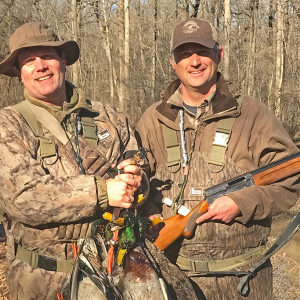 Cooper had always heard about Arkansas’ duck hunting mecca 90 minutes east, but never experienced it for himself until after completing high school and enlisting in the Army National Guard. That’s when some fellow guardsmen introduced him to what he’d been missing. 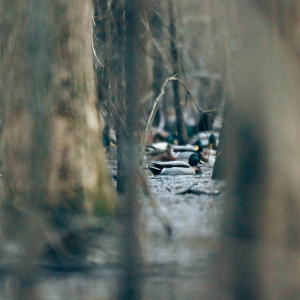 “I made that hour and a half trip from Conway to Gregory, Arkansas back in 1984, saw the abundance of waterfowl and ducks on the Cache River and in the Black Swamp and I never went back,” Cooper said. Obsessed, but strapped for gas money, the 20-something Cooper spent many a night sleeping in the back of his Dodge Ramcharger at the boat ramp. His perseverance paid off with an intimate understanding of the famed hunting area. And people were taking notice. 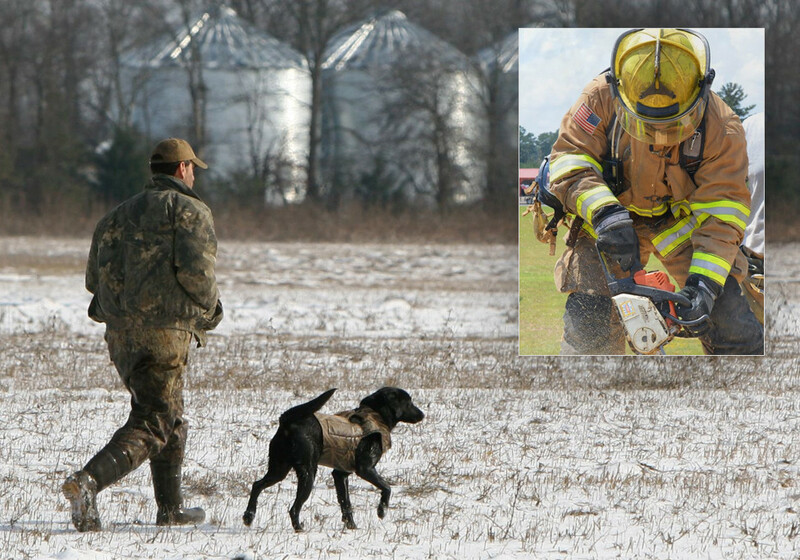 Cooper, who was soon balancing his duck habit with a new family and a job as a firefighter, started charging hangers-on $100 apiece to hunt with him. The seeds of Bust-A-Duck were sown. “I really didn’t know the business of a guide service,” he said. 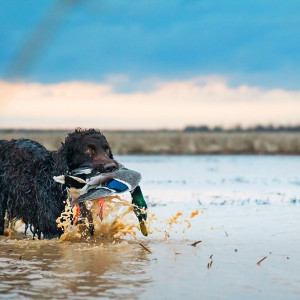 “But I did know that I was a diehard duck hunter and put my time in scouting during the summer, looking for new places to hunt and I was very successful at it. In its early days Bust-A-Duck ran on sheer grit and hustle, but it worked. Cooper’s Ramcharger gave way to a pop-up camper as his one or two daily customers turned into three and four, all happy to pony up for a morning’s shooting. Then two major challenges came along, nearly derailing the company permanently. 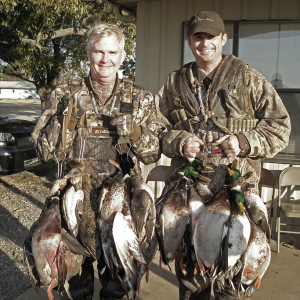 One was the Arkansas Game and Fish Commission’s move to outlaw guided hunts on public property, which Cooper solved through his extensive knowledge of the area. 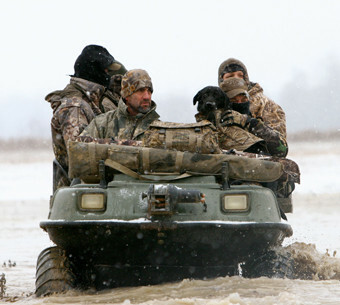 "We were just old-school duck hunters — Red Ball waders, Wonder Bread sacks on your feet when the waders would leak, army camo and single shot shotgun." 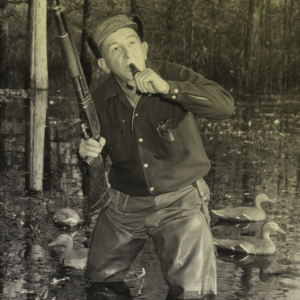 — Bust-A-Duck founder Buster Cooper, on his early hunting experiences. The second issue was Cooper’s own doing. Once bookings took off, he hired another guide and ran Bust-A-Duck full-throttle, forgetting that he was in the people business, not the duck business. “I messed up,” he said. “I started adding numbers up and seeing this huge amount of money that I potentially could make, but I didn’t think about the customer service. I started booking as many as I could get per day. I was trying to run 16 guys, I’d take eight, another guy would take eight, and I was looking at the dollar signs. Cooper took the warnings to heart. He cut back the number of hunters he and his guide would take out and focused on providing the best hunting experience in the state. Clients were impressed and word of mouth improved. For every group lucky enough to get a booking, many more stood waiting in line. 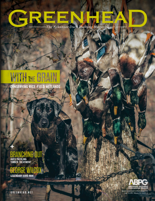 In 2012, Cooper realized a vision for first-class accomodations to go with his first-class hunts, building a 3,600-SF lodge. 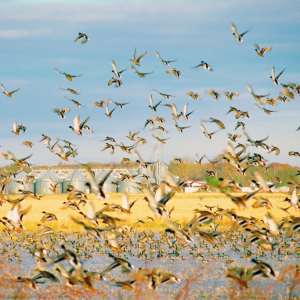 He and his crew of four guides keep the place filled, guiding 12 to 14 hunters a day over 80 owned acres and 15,000 leased acres of rice and bean fields, sloughs and a small tract of timber. Cooper’s work ethic hasn’t eased up much — he just retired from the local fire department last summer after 28 years — but remains disciplined, even though current demand has the lodge booked solid by the end of July. He’s not about to make the same, overbooking mistake twice and enjoys staunch customer loyalty because of it. “I’ve got guys that’s been with me for 20 years,” Cooper said. “I got a group out of Birmingham, Alabama, a guy named Russell Morrow, been loyal 20 years hunting with me. He’s also the one that told me straight up that I needed to revamp my operation or he was going to find somewhere else to go.